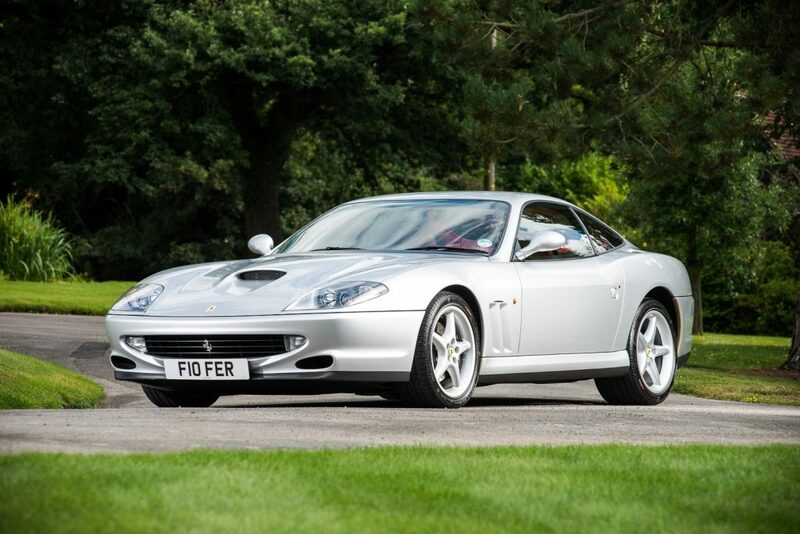 What must be one of the very lowest mileage Ferrari 550 Maranellos in existence went up for auction on Saturday, 3rd September, at Silverstone Auctions’ Salon Privé Sale. Having started life in January 1998 when it was sold by HR Owen and delivered by them by trailer to the first owner, a resident of the Isle of Man, the car was one of two Ferraris that the owner intended for long term low use investment. Twelve years later having covered just 300 miles his ailing health led to the car being offered for sale by Graypaul Nottingham. The second owner, a self-confessed collector, enthusiast and investor in marques including Ferrari, acquired the car in 2009 with the mileage on delivery at his West Sussex home reading just 319 miles. Treated to considerably more use, but on a diet limited to 250 miles a year, the car remains in as new condition. The vendor states that the car has never been used in the wet in his six year term of ownership and given the description by Graypaul when he bought it, has probably never been used on a wet road.